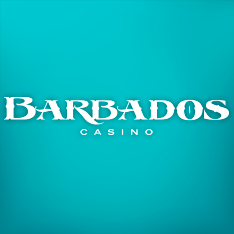 Operated by ABSOLUTE MARKETING SOLUTIONS LP, Barbados Casino is licensed to operate in the United Kingdom and Malta. 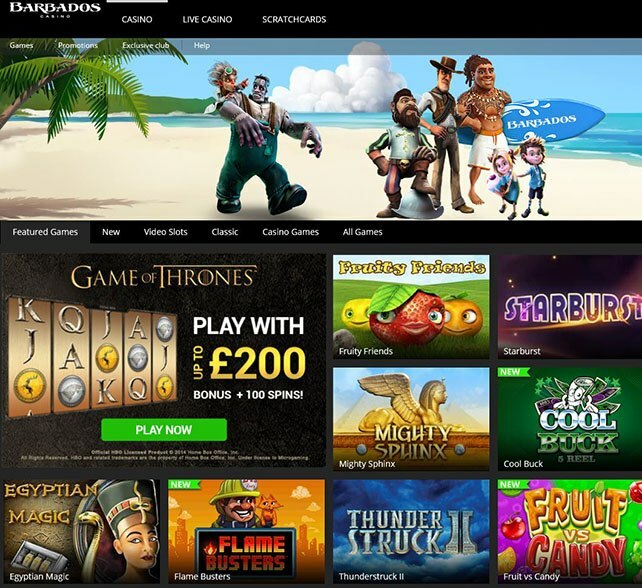 From scratch cards to live casino section, it is evident that the site is serious about delivering a solid offering – packing in a whole host of games and having support for mobile devices helps in this regard too. Barbados casino has a welcome bonus of 100% on a player’s first deposit (up to $200). This bonus only applies for deposits of $10 (which is their minimum deposit anyway) or higher. A player need only deposit money in their account and they will receive the bonus, for example a deposit $60 gets you $60 free, depositing $90 nets $90 free and you play with $180 and a deposit of $150 entitles you to another $150 free. They have a wagering minimum requirement of 35 times the sum of your welcome bonus before you can cash out any winnings. The use of bonus funds to progress through the bonus stages is prohibited – this can result in winnings being voided. For example, playing Netent’s “The Wish Master” with an active Bonus, activating 3 “wishes” to then leave the game and come back and collect the feature payout once the Bonus is gone. All daily bonuses are subject to a maximum of $20. Oddly as stated on their site tournaments cannot be entered into on the mobile platform, but playing through your mobile once you’ve registered in a tournament will help increase your ranking. All Real Money players are automatically registered to earn Reward Points upon making their first deposit. And you earn 1 Reward Point for every $20 wagered. Once players have accumulated the minimum number of Points, they can redeem these for Bonus Money. Once a player reaches a certain number of Total Reward Points, their accounts will be automatically upgraded to the next Reward Level. NetEnt, Microgaming, Amaya, and Play’n GO provide the spread of gaming platforms offered at Barbados Casino. They have under their featured titles: Starburst, Fruity Friends, Reel Bandits, Mighty Sphinx and Egyptian Magic etc available.